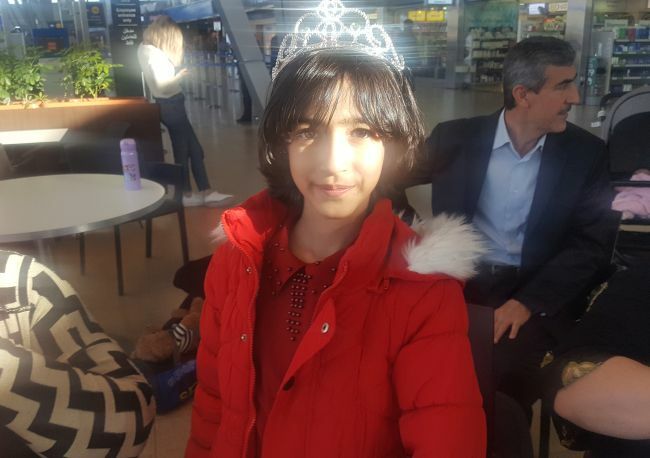 Hani and her father returned to Kurdistan today! Father and daughter were such a beautiful source of joy at Shevet during their time here. They will be greatly missed! Hani’s father has a quiet, humble spirit which mixed so well with Hani’s consistent giving and helping. We celebrated our love for the family yesterday with a party. We brought a large group of people down the street for a meal near the beach. We had the opportunity to sing worship songs, with a special request from Hani, along with gift-giving. Hani’s father also joined in some sports of volleyball and soccer before we ate bryani and cake. 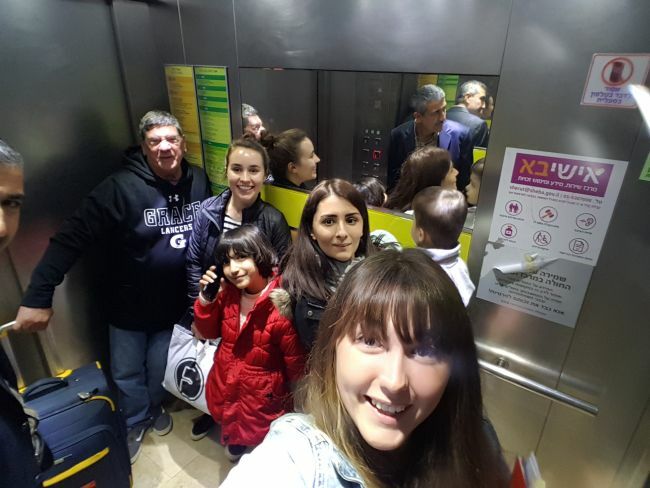 Hani traveled with Jabali and Nila and as we were talking the parents through the travel process before departing to the airport and also during our check-in at Ben Gurion airport, Hani and her dad were taking care to ensure they were ready to lead the group home. 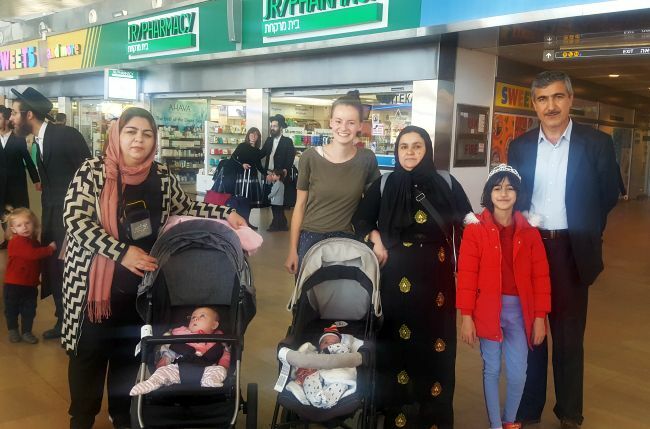 Everything went well at the airport and Hani and her dad will soon be reunited with Hani’s mom, three sisters, and brother. Father and daughter waved until the last minute saying their thanks again and again. 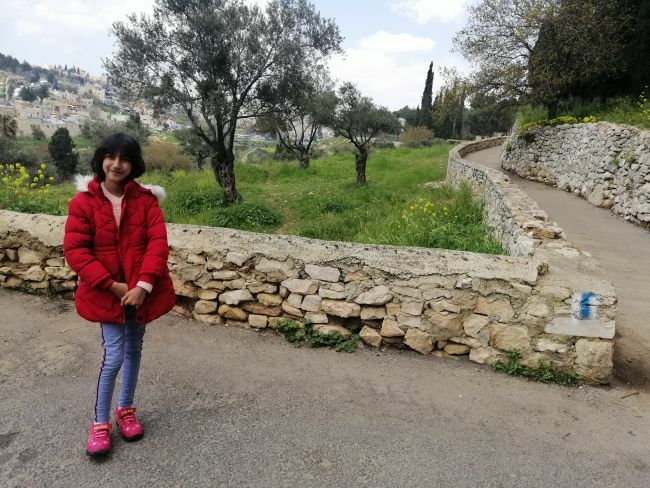 Over the coming weeks, months, and years we pray for Hani to catch up some on her physical growth now with her healed heart and pray for her beautiful attitude to continue as she grows older. Praise the Lord for the miracle of bringing Hani to Israel and her repaired heart! 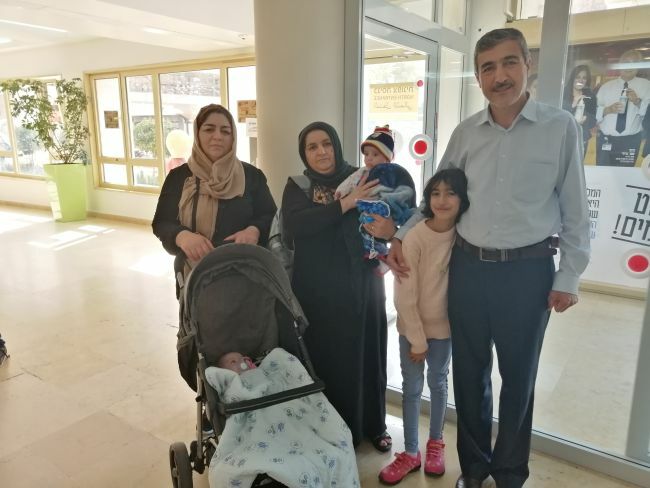 Its a happy day for Hani and her father, as the echo confirmed that her heart is looking good and she can go home to Kurdistan! Let’s remember that when Hani was first here, the doctors weren’t sure that she is going to be operable or not. Praise God, the surgeon was able to successfully carry out a very new procedure to correct her anomaly and completely transform her heart! She is able to walk around now without tiring; it is such a joy to see the transformation in her. 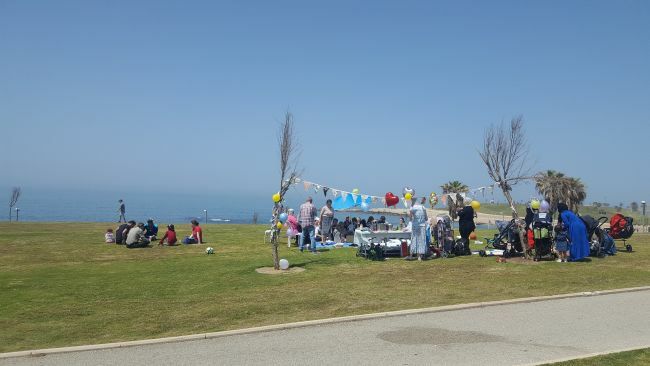 It was also nice to see Hani’s dad with the other “Shevet dads” who are at the hospital; the fathers of Aram and Marya. Hani’s dad is a caring and friendly man, and they seem to have a great friendship. The experience of giving over their little girls into the hands of the surgeons here, and into the hands of God has brought them together. We pray that one day the hearts of these gentle and loving earthly fathers will come to know the love of our Heavenly Father. 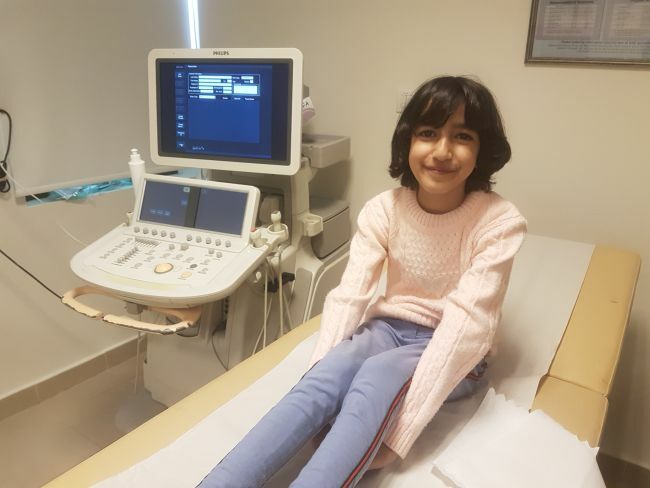 It was fantastic news today for Hani who attended a follow up echo after having a catheterisation a little over a week ago. The doctor reported that her heart looks surprisingly good given the complexity of her surgery. Her newly repositioned tricuspid valve seems to be functioning very well and her heart is tolerating her recent VSD closure successfully. We just thank God so much for this amazing healing. Hani will return for an echo in 2 weeks time at which point she may be told she can go back to Kurdistan. Please pray for this beautiful, fun and kind girl. 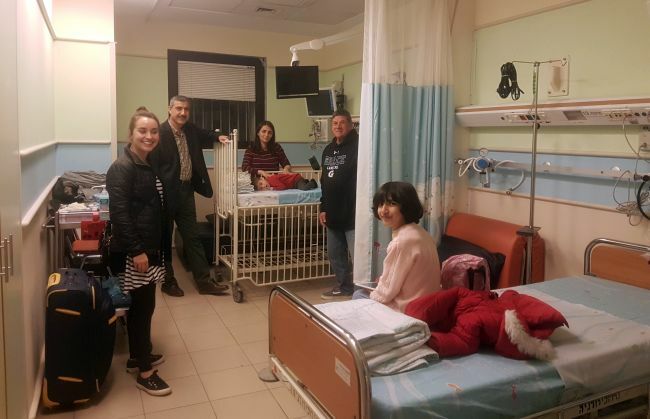 Please pray that she experiences the love of Jesus as she spends another few weeks in the Shevet house and please pray for her continued healing. Our sweet Hani was discharged from the hospital today! Praise God for her recovery thus far. When we arrived today for appointments she was already with a group of children coloring and making art in the cardiology wing. 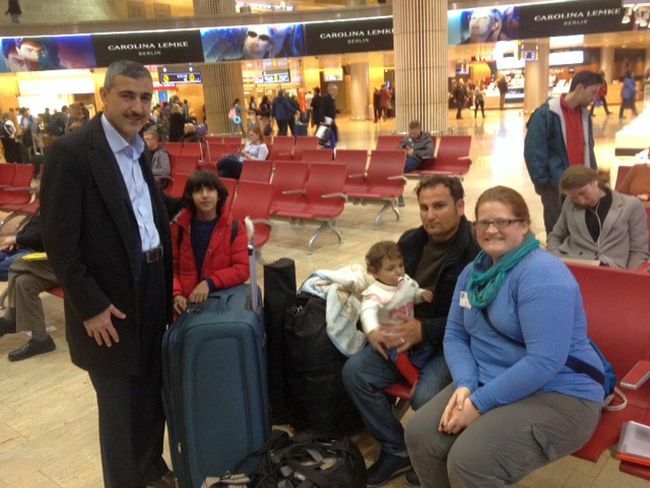 She has made wonderful strides this last week to be able to come “home” to us in Jaffa. We are excited to have our little artist back! Continue to pray for her recovery and their patience about returning home to their family. Her first post-op outpatient echo is in one week. When I came to the fourth floor, Hani’s dad just came out of the surgery/catherization area. He told me that Hani was about to get her catherization. So I waited with the dad for some time, he was very patient but also worried about his lovely daughter. After some time Hani came out of her cath. The doctor said that the cath was long and also difficult. They wanted to close the ASD, and in the end the cath was successful. When I came to see Hani she was awake but also very tired. Please pray for her that she is recovering well and gets more strength. Hani just amazes me. Since her major surgery Hani has had a difficult time of recovery with fevers and low saturation level not to mention the inevitable pain that goes along with major heart surgery. However, she is being so brave and is working hard to make sure she doesn’t slow down her rate of recovery. 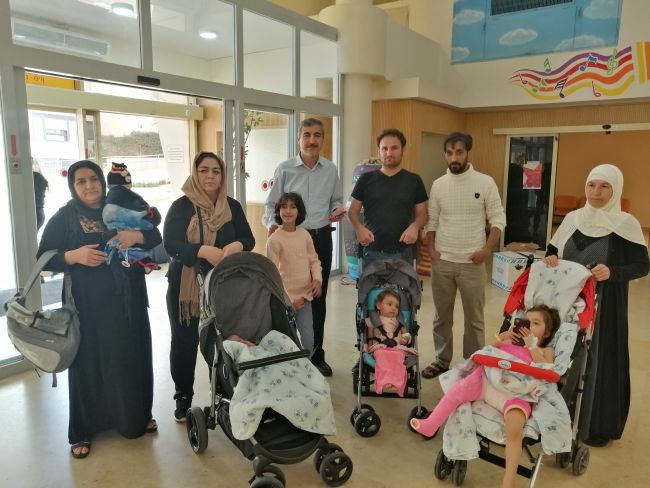 This means we have seen her many times out from her bed exploring different areas of the hospital and coming and greeting people from Kurdistan arriving with Shevet in the mornings. Today it was beautiful to watch her play piano. She has learnt 3 tunes since being in the ICU and I marveled at her today as she was taught a new tune which she picked up within minutes. Music played with a pure heart to me just speaks of the glory of God and I was so moved watching Hani today. 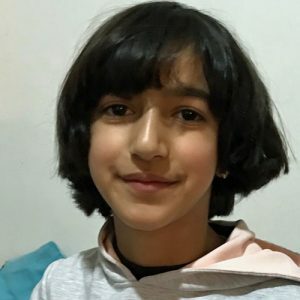 Tomorrow Hani will have a catheterisation to attempt to repair an ASD in her heart. Please pray for her and her father as she has this procedure. Please pray that she has a new sense of abundant life following the surgery. When we visited our beautiful Hani today she was extubated. Her dad told us that she already ate proper food and that she is doing better. While her dad was buying some food for her, I waited with her. She was sleeping and resting a little. She had to sit in a recliner chair which should help her lungs to recover. Please pray for a good recovery and that she is gaining more strength. Today was Hani’s big surgery. God is faithful in His love for His children that He provided such a time for Hani’s heart to be repaired. The surgery was long, unique, and difficult but the surgeon said it went well. Pray for her continued healing and recovery. Her dad handled the wait very well and is now keeping watch at her side. 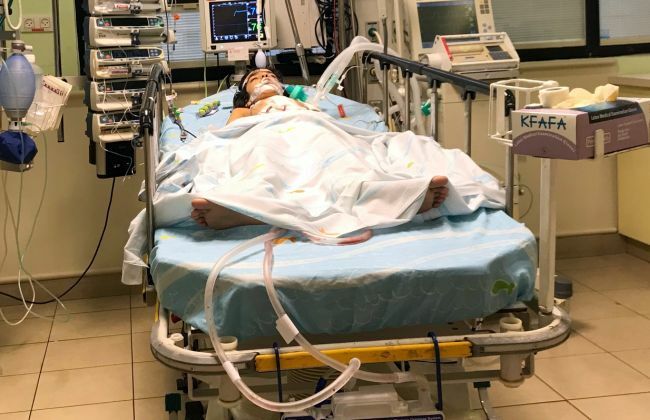 After her night in the hospital, Hani and her dad had to go to the adult heart center within the hospital early this morning for her catheterisation. The doctor was pleased to tell us afterwards that they did not find any electrical problems with her heart, and so she has been scheduled for surgery tomorrow! It is going to be a really big surgery and take the whole day tomorrow. 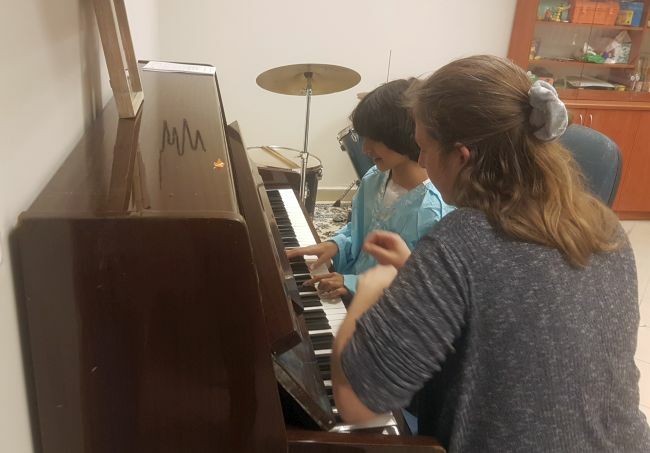 During some of her long days at the hospital as an outpatient, Hani has been able to make her way into the music room and had won the heart of the music therapist. She was so happy to hear that Hani is due for her surgery tomorrow, and gave us a book which she has written, which prepares the older children for their surgery. Hani herself was so lovely when we saw her after her cath. She was friendly and happy, and showed us all of her cannulas. If she was in any pain, she didn’t shown it at all. We left her with her dad to talk about what is going to happen tomorrow. The medical team plan to use a recently developed procedure to move her valve within her heart to improve the function. Please pray for our special Hani, as she is about to undergo a really major surgery tomorrow. Pray for wisdom and skill for the medical team, and please pray for peace for her family. There was a real feeling of being a family tonight as we traveled to hospital with both Hani and Lazo. If you were an outsider looking in you might not have guessed we were heading to the hospital. Praise God, everyone was so peaceful and positive in the build up for tomorrow. When we arrived the hospital we all worked together to make the admission of both children run smoothly. Young Hani has already shown herself to be a really special and caring girl. She is so kind at home with the other children. Tonight at the hospital she took everything in her stride through x-ray to ECG she remained very peaceful even having a chat with her family in Kurdistan as her blood was taken! Please pray for Hani as she undergoes her catheterisation tomorrow. Please pray that the doctors gain clear insight into the electrical activity of her heart. 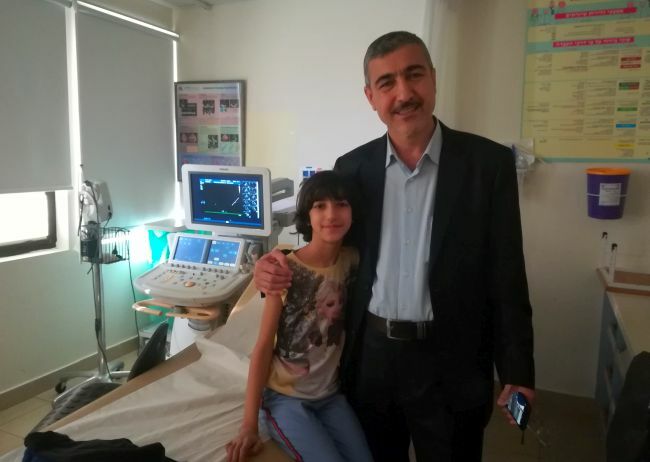 Beautiful Hani has embarked on her battery of tests looking into the electrical condition of her heart. As I wrote before, around 30% of people with her condition do have some electrical problems with their hearts, and so the medical team here want to be thorough in their assessments, which will lead to a better plan for her surgery. Hani has been wearing an external halter since yesterday morning to monitor her heart during a 24 hour period. 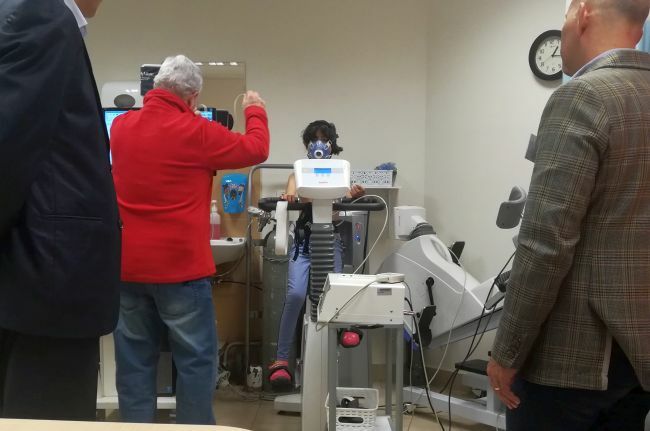 Today, she also came again to the hospital in order to have a “stress test.” The doctors set her up on a bicycle with mask and head monitor, electrodes around her chest and so on. Hani needed to pedal for 8 minutes for them to get the data they need. 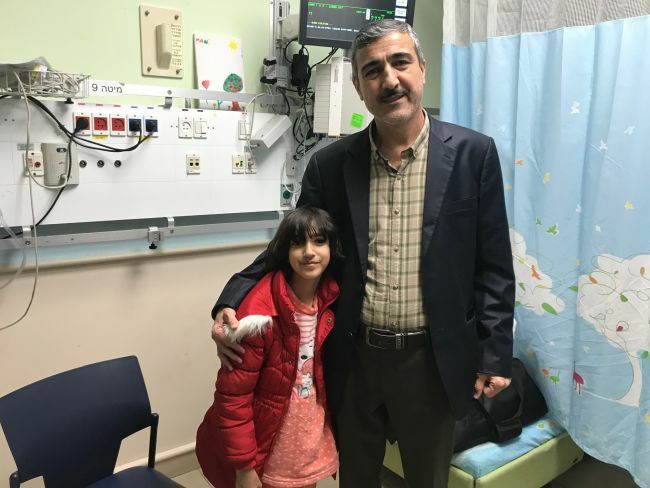 It was so helpful to have Julio there to translate into Sorani Kurdish for Hani and her dad; there was a lot of information for her to understand and remember. It was actually a difficult time for Hani, because she was afraid with the mask constricting her face, she was worried that she wouldn’t be able to breathe. 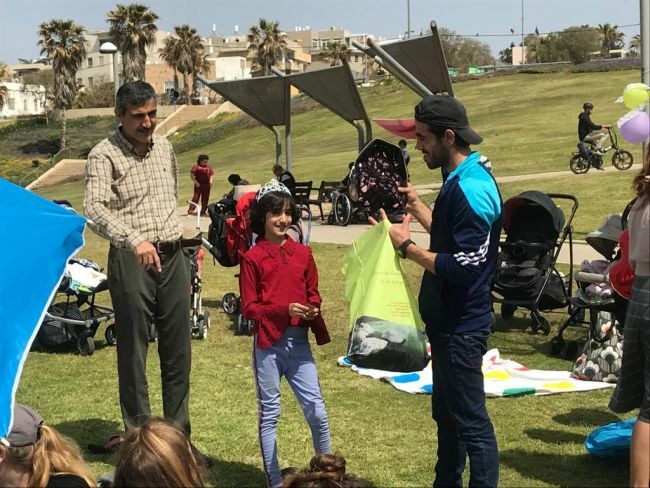 I felt really proud of her today; Hani is 8 and a half years old, and in this new country full of strangers with her dad, and she can’t speak the language. She is beautiful, fun and intelligent, and so it was not nice to see her not managing to hold her tears in. Hani was very brave and carried out the test as best as she could. Unfortunately her oxygen saturation dropped too low, and they were unable to continue the test as planned. Thank God for lovely Hani and her dad. Please pray as her assessments go ahead. Hani and her dad came to the hospital for the first assessment today, with a big group of other families. Hani is a really lovely girl, and her dad was pleased to show me some beautiful drawings she has done, and lots of nice pictures of their family back in Kurdistan. 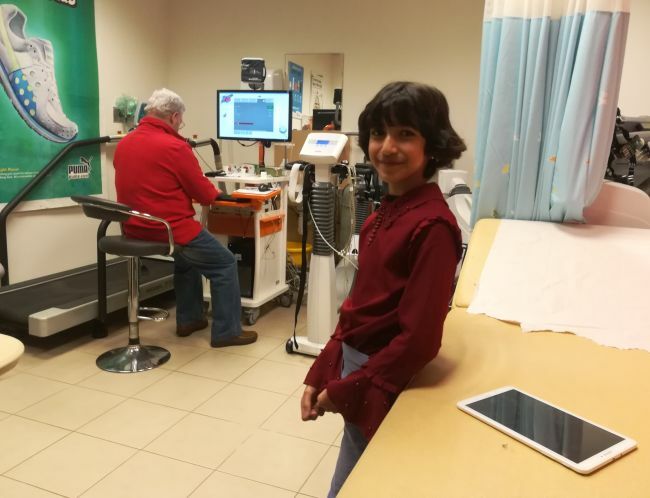 Hani was thoroughly assessed with echo, ECG, measurements and a case history. 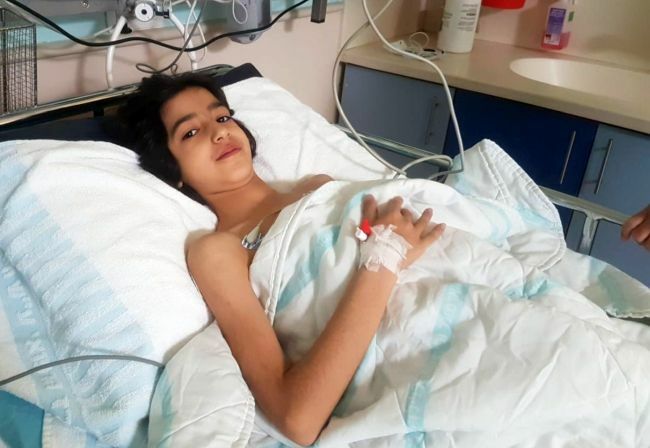 The doctor explained that he was able to confirm the diagnosis made in Kurdistan of Ebstein’s anomaly, and that Hani is at the severe end of the spectrum. This is due to the information provided about her struggling with climbing stairs and becoming breathless. She is also not really able to do any exercise or sports, although her dad wants her to learn karate! So, her condition really impacts on her quality of life. 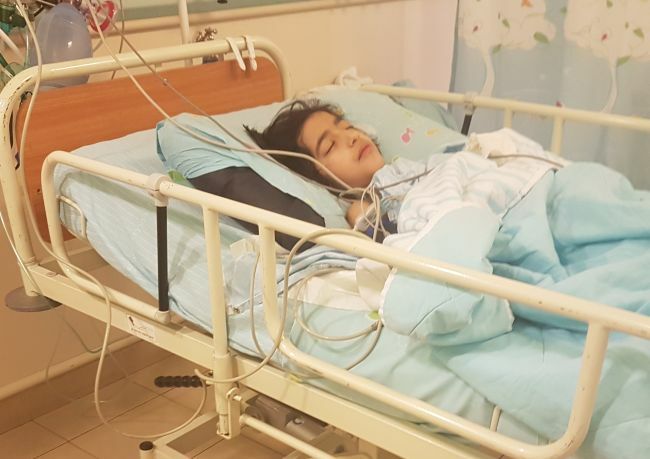 The good news is that the doctor felt that surgery was very likely an option for Hani, and that he is going to discuss her case with a medical team to decide what is the best plan. He suggested that it would be a complex surgery, and gave lots of interesting information, for example, that the most modern technique was developed in 2017 by a surgeon from Brazil, who sometimes carries out these surgeries at the hospital here in Israel. He expects that if this goes ahead, they also will need to have an intervention via catheterisation to check the electrical condition of her heart. He says that the ECG today doesn’t show any signs of problems, but that as around 30% of patients with Hani’s diagnosis have problems with the electricity, it would likely need this assessment as well, to ensure best practice. All in all, Hani’s condition was confirmed to be complex, and we really need to pray for her situation. Its hard to describe to you just how sweet she is. She had quite a nice time at the hospital, and while she was waiting, she went to a science activity with Sophie and they made a kaleidoscope, made light circuits, drew in the dark and investigated magnets. Please lift up this special girl in prayer, and pray for wisdom for the medical team. Hani and her father arrived last night from Kurdistan. After a long and tiring day of travel she has already showed her sweet soul as she tried to comfort Marya while I assessed the toddler at the airport. 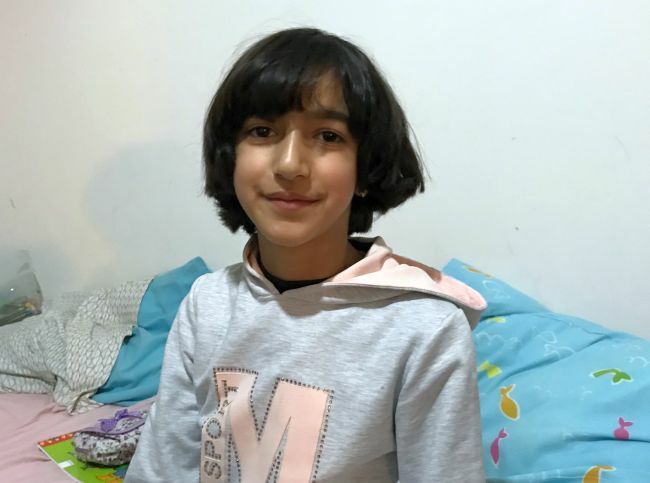 Hani and her father are adjusting well to the house, and she is becoming quick friends with the other school age child, Alin. Please pray for Hani and her father as they go to the hospital tomorrow for her initial assessment and echo. As of right now, Hani still needs $6500 toward surgery and related expenses.